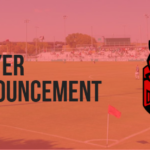 DENTON, TX – The Denton Diablos have taken another significant step forward as they prepare to burn through Texas soccer fields when the elite minor league soccer club in Denton begins competition next summer by announcing their first Head Coach. 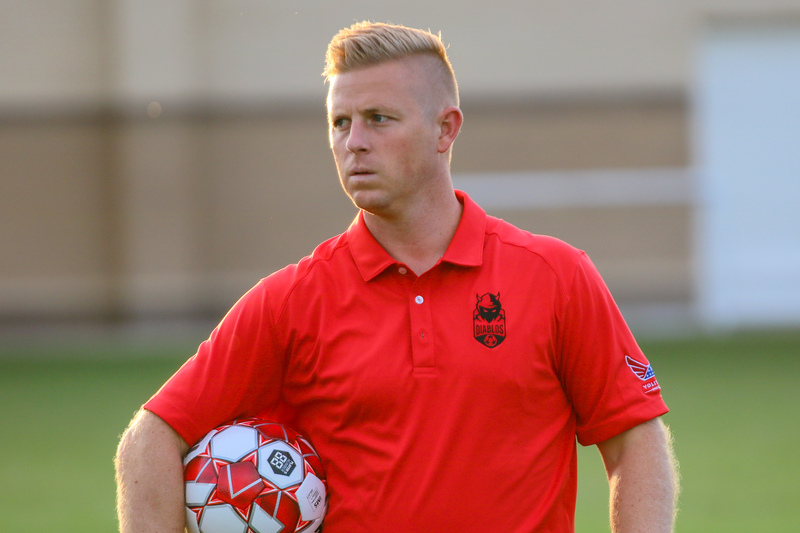 Denton Diablos FC are proud to announce Chad Rakestraw as our club’s first head coach and the man who will help form the foundation of what our club is to become. Chad is the current head coach of Flower Mound Marcus High School in southern Denton County where in 2017 he took charge of a program with 26 consecutive seasons of playoff competition. Chad grew up in Grapevine, TX and graduated HS from Denton Ryan HS serving as the foundation for his deep ties to the Denton Community. After high school Chad attended Midwestern State University on a soccer scholarship where he received All conference honors and served as a team captain his Senior season. After finishing his playing career, Chad started his coaching career as an assistant at Denton Guyer HS for 3 years, before Chad received his first opportunity to be a head coach at Northwest HS 2008, where he helped lead them to their first and only 6A playoff appearance. In 2011, Chad was given the opportunity to take over the boys Soccer Program at Coppell HS. In the following 6 years, Chad and company won 5 district championships, while playing and competing for the ultimate prize, a State Championship, on three separate occasions. While they didn’t win all 3 trips, in 2013 and 2016 Chad and team found themselves lucky enough to hoist the 6A State Championship trophy high above their heads. In Chad’s brief 6 year tenure at Coppell High School, he and staff helped send over 25 players to play at the next level including schools like University of New Mexico and SMU. Chad was the birth year 1998 & 1999 NTX State ODP Head Coach, working with future MLS homegrown talents like Reggie Cannon and Paxton Pomykal. In addition, Chad has served as the Region III ODP Staff Coach and a NTSSA license instructor. Chad currently holds a USSF B Coaching License, while also serving as the liaison between our state soccer association, TASCO and the USC (United Soccer Coaches), in addition to serving on the United Soccer Coaches High School Advocacy group as a staff member. Chad will be the first to admit his greatest accomplishments come far from the soccer pitch in his 12-year marriage to wife Shelley Rakestraw, and his 4 little girls Madison (9), Kamryn (7), and twins Brooklyn and Katelyn (5). 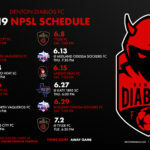 Bolstered by a pair of passionate soccer-first investors, the Diablos will compete in the National Premier Soccer League’s Lone Star Conference beginning in May 2019. The Denton Diablos FC will play home matches at UNT’s Soccer Stadium.